If you're looking for information about the Beaver Lake Community, you have come to the right place! The community information shown below will give you a quick snapshot of what the Beaver Lake housing market is doing. 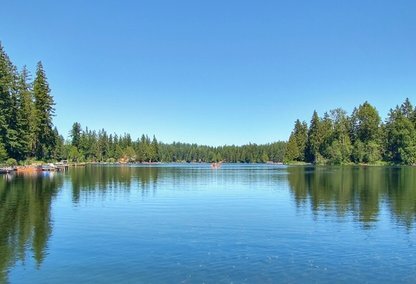 Be sure to check out the local Beaver Lake homes for sale stats and the available properties below. The numbers shown are inclusive of condos and single family homes, so you'll have a better all round view of the market. Beaver Lake School & Community info. New Home, nearly complete and Last of only two homes left in Ivy Estates! Beautiful three story with two car garage and five bedrooms. Ground floor bedroom. Master bedroom with beautiful five point Master bath. Ground floor bedroom with it's own 3/4 bath and den space. Open main floor with 2nd den space. Three covered outdoor seating areas! Development opportunity near Beaver lake in Sammamish. This 2.53 acre parcel zoned R-4 and is located on SE 17th St and 248th Ave SE. It Doesn't have no wetlands or restriction according to City. Water is located in the street. There is a 1730 SqFt mobile home built in 1970 with rehab possibilities. Buyer and buyer broker has to verify all the information with City and County, seller selling "as is". Large Home, with view, on 82.5 acres of income producing land with fertile soil. 3 water sources; Drainage Ditch with unlimited water right, PUD water, and a new well was drilled in 2018. Two large barns plus a 24' x 36' shop. Currently farmed for hay but would be good land for other crops. Can be certified as organic, no chemicals for 4+ years. Great for blueberries. Need To Sell Your Beaver Lake Home In Sammamish?